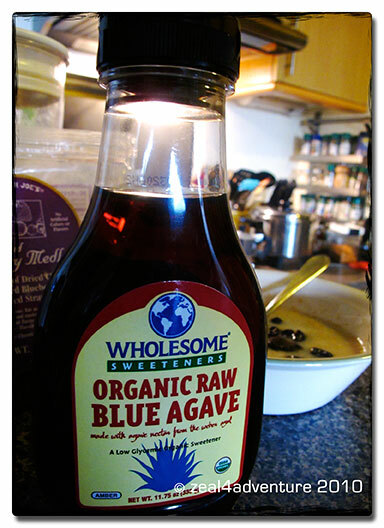 Sweetened with some kind of sweetener – honey, muscovado or a recent discovery, agave syrup and a sprinkling of some dried fruit, that’s how I normally like my oatmeal. I recently uncovered though a liking for peanut butter and jelly to go with it. Guava is a favorite but I so happened to have an opened bottle of tomato jam – it worked for me too! Don’t judge until you’ve tried it. It can be very addicting! Umm, that is if you love PB&J as much as I do. 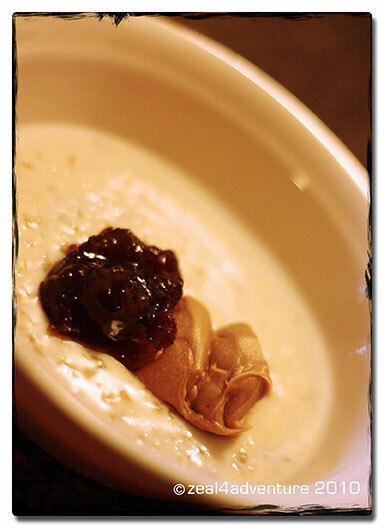 Aside from the sweet-savory taste, the PB adds a certain richness to the oatmeal while the J takes care of sweetening it in a special kind of way. 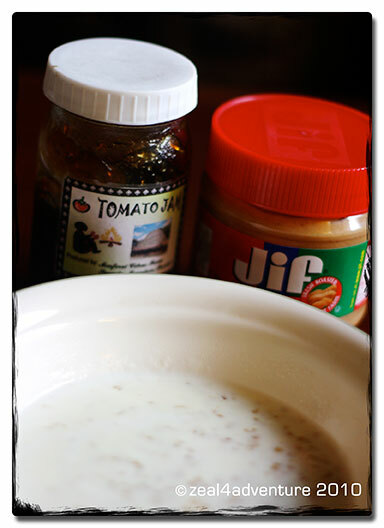 I would add more liquid than usual so not to end up with oatmeal that is too thick when mixed with the peanut butter. i’m the ‘silog type of breakfast eater. Hi — you have a lovely and interesting blog. I couldn’t find a place to comment on the later posts. But it was OK because I enjoyed reading all of your posts down to this one. Thanks for visiting my blog; glad zI found yours. Love to read about travels!